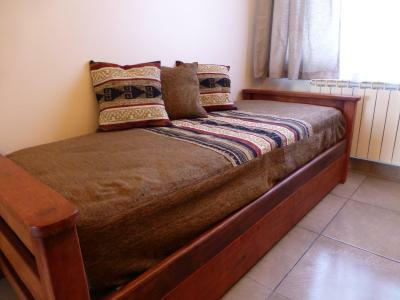 Lock in a great price for La Posta Hostel – rated 8.8 by recent guests! Everything in hostel is clean and tidy. Bed is comfortable, have locker and enough plugs to use. Bathroom is clean and have hot water for shower. Kitchen have great facilities for cooking, also have salt, oil and free food you can use. Breakfast is simply but nice, bread, corn flakes, juice, tea and coffee. Staffs are very nice and helpful. I really enjoyed to stay here. The hostel is very clean and has 2(!) well equipped kitchens. The staff is helpful. They helped us to book a transfer to go to Laguna Esmeralda from the hostel and it was cheaper then we were told at the tourist info office. Also we had a transfer booked by them to go to the National Park and were picked up in the hostel. 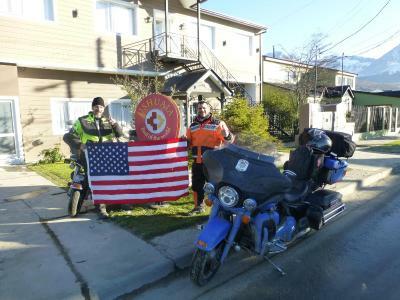 WiFi was fast, especially coming from El Chalté and El Calafate. Clean and comfy hostel with great staff. Shared bathrooms were spotless. Recommended! The room was nice. Some of the staff was extremely friendly and helpful. Everything was clean and the set up of the hostel was very nice. 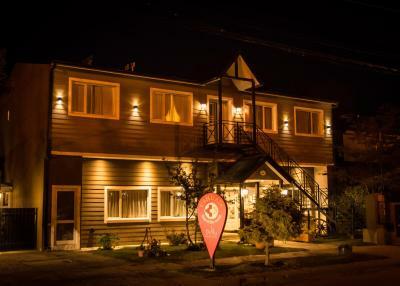 This is one of the best hostels I have stayed in during 4 months of travel throughout Central and South America. Some of the staff was willing to help set up tours, taxis, and laundry service. Such an open layout for a hostel was really nice! It wasn't compact and chaotic like some. Everything was clean, and every dorm bed came with a locker and key. 2 kitchens allowed 1 to be open at all hours, the other to be a quiet area near rooms. 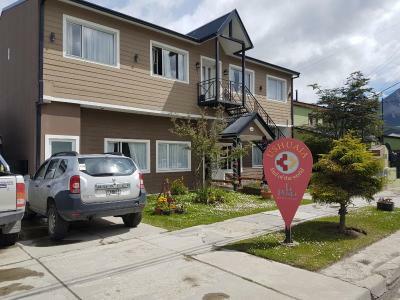 Practical rooms and apartments are available just 3.1 mi from Ushuaia’s airport. 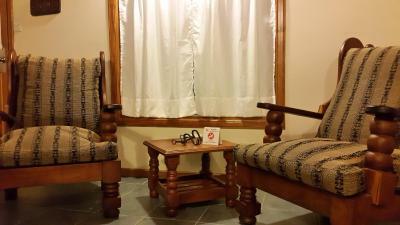 La Posta has cozy accommodations with free Wi-Fi. 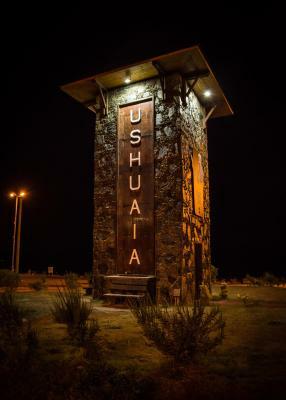 Ushuaia’s National Park is 6.2 mi away. Private parking is free. 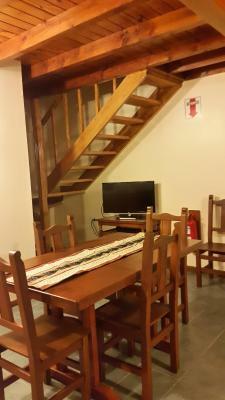 La Posta Hostel Apart has rooms with shared bathrooms and fully furnished apartments with kitchen facilities. There are 2 common kitchens and a dining area styled with rustic wood fittings. La Martiel Glacier is 9.3 mi from the hotel. Guests can rely on the tour desk for the best tips on visiting the area. The front desk offers 24-hour assistance. 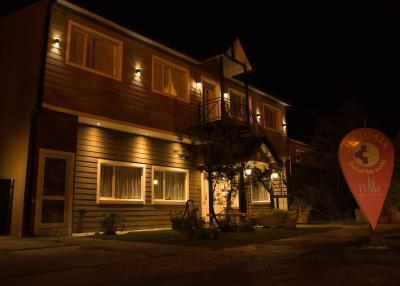 When would you like to stay at La Posta Hostel? 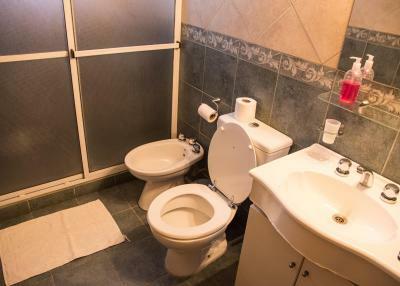 A practical room with free Wi-Fi and a shared bathroom. A single bed in an 8-bed dorm room. 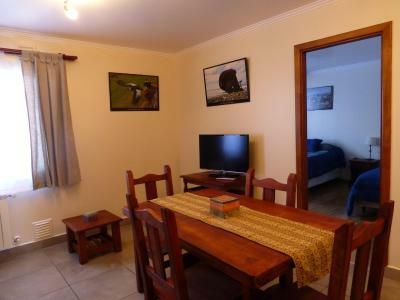 A fully furnished apartment with kitchen facilities, cable TV, free Wi-Fi and a private bathroom. 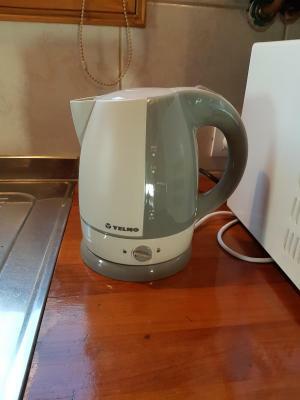 It includes a hairdryer and a stovetop. House Rules La Posta Hostel takes special requests – add in the next step! La Posta Hostel accepts these cards and reserves the right to temporarily hold an amount prior to arrival. Please inform La Posta Hostel of your expected arrival time in advance. You can use the Special Requests box when booking, or contact the property directly using the contact details in your confirmation. Very helpful and friendly owner with good English who gave us good hints for trips and car hire. We stayed in the apartment which is nice, comfortable and clean. The breakfast (including the coffee) is not what we as Germans would praise (mainly sweets and some cereals) so we made our own one in the apartment. Overall very good value for money. Just not the perfect location if you want to be in the city center. Shortage in bathrooms. 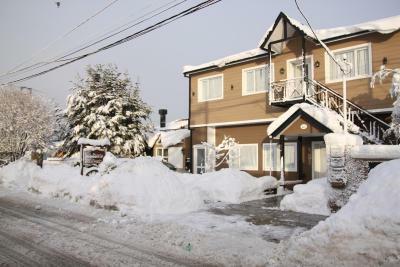 Location is 30 minutes walk from the city centre but it is close to the airport. The staff is really good. They have 2 kitchens, one is open for 24 hours. The laundry facilities are really good. The breakfast was simple, but decent. Location is far from city, you need to walk 35min or you could take a bus Linea A to city. Cozy hostel with nice common area, breakfast included. Helpful staff. Could park my rental car in the yard behind closed gates. A bit far from town but only really takes 20 minutes to walk to the center. Friendly staff that is willing to help with booking tours, buses etc. Two kitchens that are great for cooking. It’s a little far from the city center, 30 min walk but the taxis are cheap ..around 150AR$. The check out is at 10am so a little early but you can stay in the common areas or leave your luggage in the storage. The hostel is very clean and the staff was great helping us with the tours, the bed was confortable and they have a kitchen opened 24/7 and laundry service. It's quite far from the center. Also it would be nice to have a area to relax like a living room on a rainy day although you have the kitchen with some tables to hang out. What i didn't like about the beds is that the you cannot sit on the lower one, it is really just to sleep. The staff is really friendly and helpful. Breakfast is okay, the medialunas are great. The house is warm and the water in the showers hot! Everywhere it is really clean! 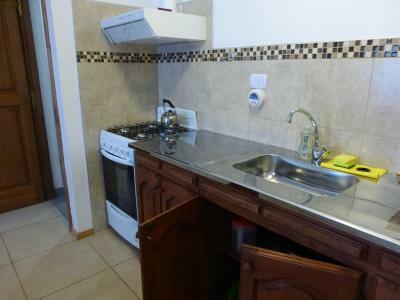 They have two kitchens which is convenient. One you can use until 10 pm the other one can be used all the time. Although the refrigerator are super full all the time you will find a spot to put your things. The location is alright but not good. It's really close to the airport, but a 20 minute walk from the center. Very clean, comfortable rooms, great staff and a nice breakfast. 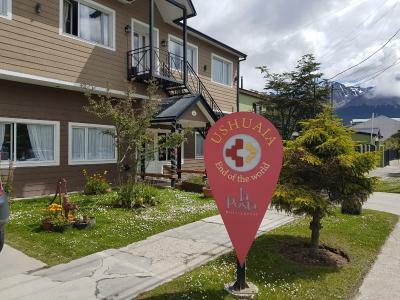 There are 2 well equipped kitchens, a washing machine and a dryer and a small grocery store/bakery 15 meters from the hostel. 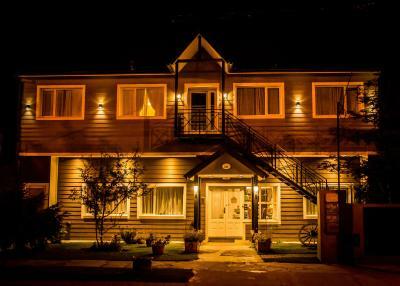 It's one of the best hostels I've been to in Argentina.